Our focus is on Creating Healthy Smiles for the entire family! When you visit our office you will sense the difference. 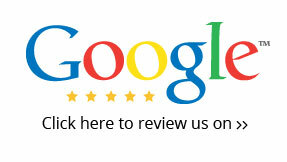 We are a practice dedicated to providing the highest quality of dental care in and around the Oroville area. gentle care that you’ve been looking for. Our office provides modern pain free dentistry by incorporating such techniques as digital dental x-rays (which reduces radiation exposure up to 90%), intraoral cameras, sedation or sleep dentistry, dental laser use and anesthetic techniques that strive to be pain free. Dr. Lawson provides basic dental services such as fillings, crowns and treatment of gum disease. He also provides services that are often referred to specialists such as Invisalign (clear braces), root canals, implants, extractions, and pediatric dental care (children’s dentistry). Many of our patients appreciate not having to travel out of town to a specialist for these services, as this saves patients time and money. with children and we welcome you and your family to our practice. If you would like additional information, please don’t hesitate to contact us at (530) 534-8353. We will respond promptly. This entry was posted on June 18, 2015 by Steven. Dr. Lawson has a very caring practice. His staff is friendly, helpful and efficient. Dr. Lawson has been an excellent care giver. I have nothing but high praise for him, his practice and his staff. 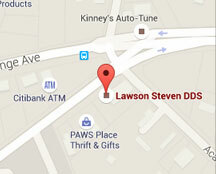 Dr. Steve Lawson and his staff are very pleasant, friendly and professional. They have accommodated emergency visits and truly care about their patients. I thank them for caring for my dental needs! I highly recommend their office. I am really happy and satisfied with my new smile! I was very nervous about coming to the dentist due to past experience but feel very comfortable now! What a great, great, great experience! Since coming to the community two years ago, I have been going to Dr. Lawson for regular cleanings and dental maintenance. Working in healthcare, I am extremely picky about where I go for my health and dental care, but I can say that I have never had one doubt about Dr. Lawson and his staff. The office is extremely clean and well organized, and they get you in and out in an efficient manner. Everyone is very friendly and welcoming as well. I would highly recommend Dr. Lawson and his team.